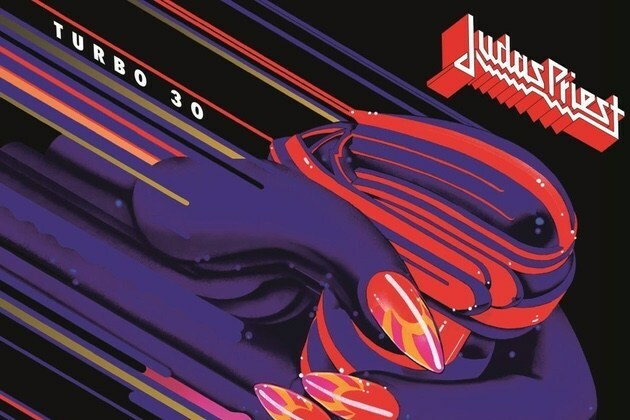 Arguably one of the most unloved Halford-fronted Judas Priest albums, ‘Turbo’ was also the band’s most commercial sounding. Originally conceived as a double album, Columbia Records didn’t have the confidence that Priest had enough pulling power to shift units of an expensive two-record set and so the proposed eighteen tracks was scaled down to a more digestible nine track affair. In March 2015, Judas Priest are to reissue their classic album ‘Defenders of the Faith’ to mark its thirtieth anniversary. Much loved by fans, the album is home to Priest classics ‘Freewheel Burning’ and ‘Some Heads Are Gonna Roll’. The new deluxe edition pairs the studio album with a complete live show – two disc’s worth of live material recorded on the ‘Defenders’ tour of ’84. Unlike the two previous Priest deluxe editions, no visual material is included, despite the band making a few TV appearances to promote the original album. The extended 12″ mix of ‘Freewheel Burning’ is also omitted. We don’t know about you, but here at Real Gone Towers there’s a feeling that this year has disappeared far, far too quickly. It’s December already and that can mean only one thing: it’s time for our countdown to xmas! For the next three (and a bit) weeks, we’ll be bringing you a selection of hopefully entertaining clips in the build up to the big event. A new clip will be added each day, so don’t forget to keep checking back!